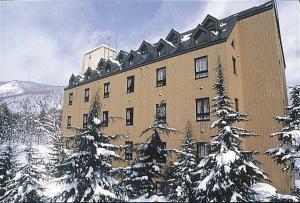 With a stay at Gakuto Lodge in Hakuba, you'll be within a 5-minute walk of Hakuba Ski Area and Hakuba Mini Train Park. This ski pension is 0.3 mi (0.5 km) from Happo-One Ski Resort and 0.4 mi (0.6 km) from Happo-one Adam Gondola. Make yourself at home in one of the 4 guestrooms featuring refrigerators and DVD players. Complimentary wireless Internet access keeps you connected, and flat-screen televisions are provided for your entertainment. Private bathrooms have complimentary toiletries and hair dryers. Conveniences include phones, as well as safes and blackout drapes/curtains. When would you like to stay at Gakuto Lodge ? Each day we'll check prices and send you an email for your selected dates at Gakuto Lodge. If you don't have specific dates but would like to check prices for say next weekend or say next month we can check the price too. Click to write a review and share your experience of Gakuto Lodge with other travellers.